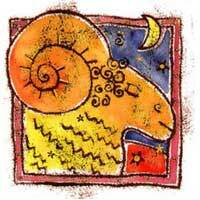 Aries natives influences Gemini natives in which hopes, wishes and friends are concerned. 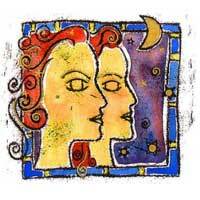 Gemini is attracted to Aries, an attraction which could turn into love. At first, your friendship with the Aries native can be a simple game, but be careful because you are playing with fire. Your relationship can be a positive one if you are willing to suffer the consequences, including a long term relationship, physical attraction and a series of hopes and wishes. Many of your friends are Aries. Gemini and Aries can be adventurous and they like to travel together. Creative talents are highlighted. You love changes, adventure and travels. You can find an Aries perfect for all these activities, but you tend to exhaust one another. Gemini natives should know that Aries likes to take the lead which is in contradiction with Gemini's wish of not being restricted. Gemini has a lot to learn from Aries, but in this process they might take the wrong way. Do not expect a quiet relationship, because the road is full of obstacles and you are going to make many compromises, otherwise you will waste all your energy fighting over nothing. Generally speaking, having an Aries as company is a positive thing for you. Your aptitudes get better and better, you read a lot, you write and express your opinions, you travel. It will be a true adventure if you decide to let Aries take control over everything. Mars, the planet which rules Aries natives and Mercury always start a fuss, create the wish to travel, the tendency to argue and the attraction which makes the make up more pleasant. Aries forces Gemini to start doing something real, concerning his ideas, if they ignore the fact that there is someone in the shadows helping them. Aries will eventually lead you towards your highest goals, towards the fulfillment of all your wishes.